The RAVPower USB portable charger with AC outlet and USB-C port is designed to power up numerous mobile devices during any outdoor activity. Like the feature? Let’s keep checking. This is a powerful and versatile USB portable charger that measures 6.89 x 1.38 x 5.31 inches and weighs 29.9 oz. As we can see from the images, the USB charger sports a compact and low-profile appearance design, so you can easily store it in your bag for easy transport. 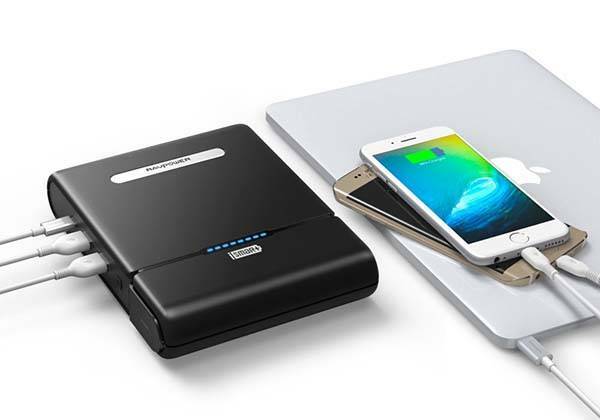 Compared with another universal power bank, the portable charger with AC outlet features a larger 27,000mAh battery capacity in order to charge your 12″ MacBook for over 3 times. 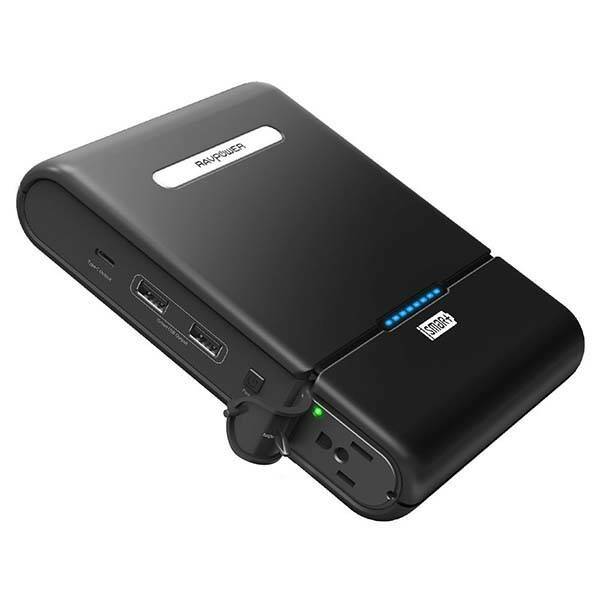 In addition to two USB ports up to 2.4A each, the portable power bank also comes equipped with a 3-prong AC outlet to power up your laptop, cooler, and other mobile devices, and an extra USB-C port with 3A outlet is designed to charge USB-C equipped devices. Furthermore, the charger also features built-in vents that keeps it running smoothly during charging and prevent dust from getting in the case. Its built-in LED indicator shows you the battery level of the power bank. The USB portable charger AC outlet and USB-C port is priced at $165.99 USD. If you’re interested, jump to Amazon for its more details.